Today, Universal Orlando opened up the first section of the forthcoming second phase of the wildly successful Wizarding World of Harry Potter. While the project has yet to be announced, guests can already walk through a faithful recreation of London's Victoria Embankment spanning from San Francisco to Men In Black. 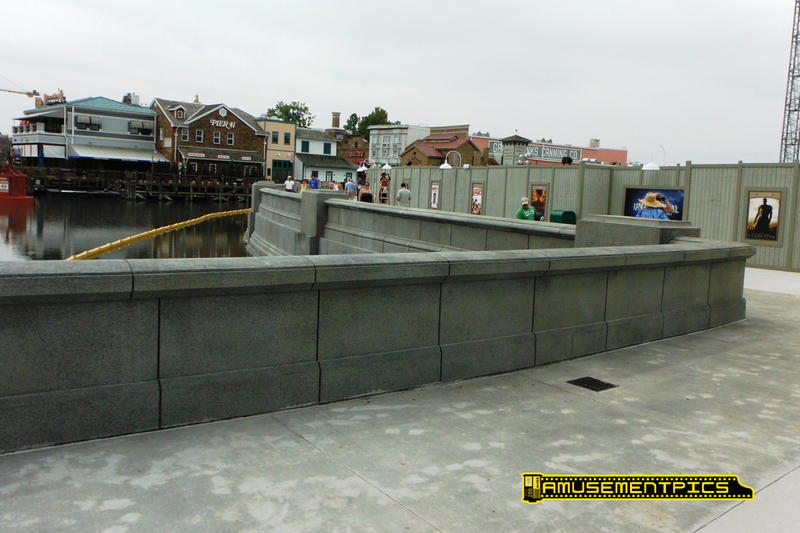 The new walkway has been opened to help alleviate the heavy crowd flow of Halloween Horror Nights and to allow for work to finally begin on laying out the foundations of Diagon Alley. The waterfront is not fully complete. Still to come are ornate lamps, copper lion heads, and a park area. In the meantime, guests can enjoy a nice new view that has never been available. Originally, the area was occupied by Amity buildings. The new area should be a great place to catch Universal's Cinematic Spectacular (#Cinespec), and the Halloween Horror Nights Horror Tributes (#HHNCinespec) in the lagoon. Next week, myself, Sean, and Nick will be visiting Universal Orlando. Be on the lookout for us and do not be afraid to say hello!